Last week, Twitter celebrated its eighth birthday, and to mark the occasion, introduced a new tool that allowed its 350 million+ users to revisit the very first tweet they ever made. 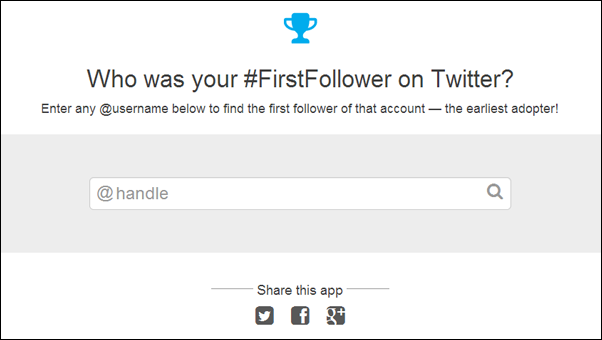 Now, another tool called First Follower offers a similar feature, although, as the name implies, will instead help you to track down the first account to follow you on the social network. For me, it was Redmond Pie‘s editor-in-chief Uzair Ghani who introduced me to Twitter and subsequently became my first follower back in 2011, and since then I haven’t looked back. Compared to those folks who’ve been using the site for the duration of its existence, I’d still be considered a newbie, but even in my three or so years, I’ve seen Twitter grow dramatically. The IPO, which occurred late last year, followed in the footsteps of Facebook, and even though The Twitters doesn’t boast anywhere near the user base of Mark Zuckerberg’s network, it’s still an integral part of our ever-expanding digital world. 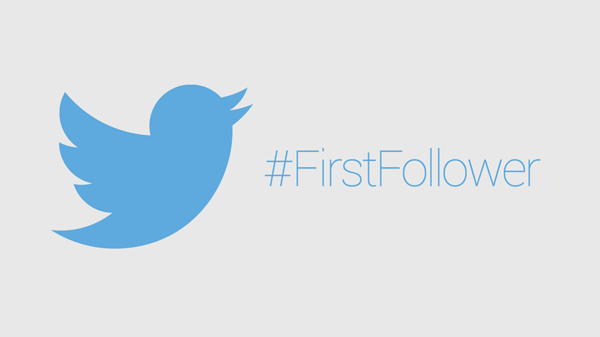 The First Tweet app pushed out last week was an official effort from Twitter, but this follow-up tool, which works in much the same manner in that it is a Web-based service, lets you find yours — or anybody else’s – first follower on Twitter. Simply head over to the site, created by SocialRank, type in the handle of the account you wish to research, and you will, in turn, discover its first follower. The search result will also show you the profile image of the first follower, as well as the number of tweets, followers and followed stats of that particular account. Give it a try on any Twitter account you like by simply pasting this URL: socialrank.co/firstfollower into your browser. We think it’s pretty cool, and with Twitter itself and now SocialRank coming through with ways for users to discover these interesting stats, let’s hope we see more of these tools in the future. Sure, Twitter is not known for adding too many features to the service unless they’re deemed to be necessary (or there’s a birthday to celebrate), but with first follower and first tweet having now been covered, a First Followed utility would certainly complete the set, don’t you agree? What Was Your First Tweet On Twitter? Find Out With This Handy Tool!